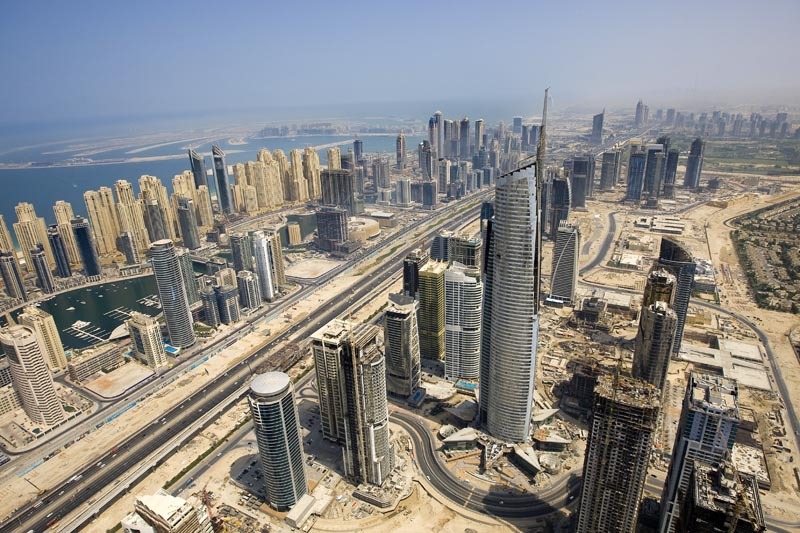 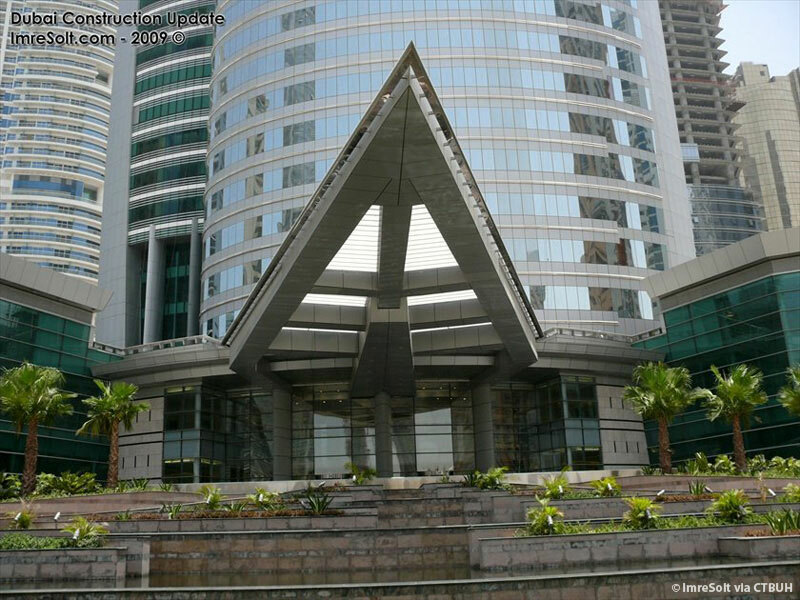 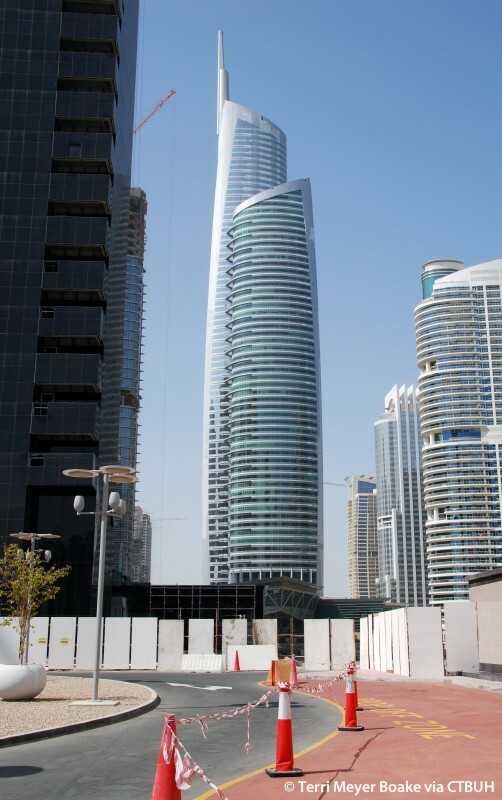 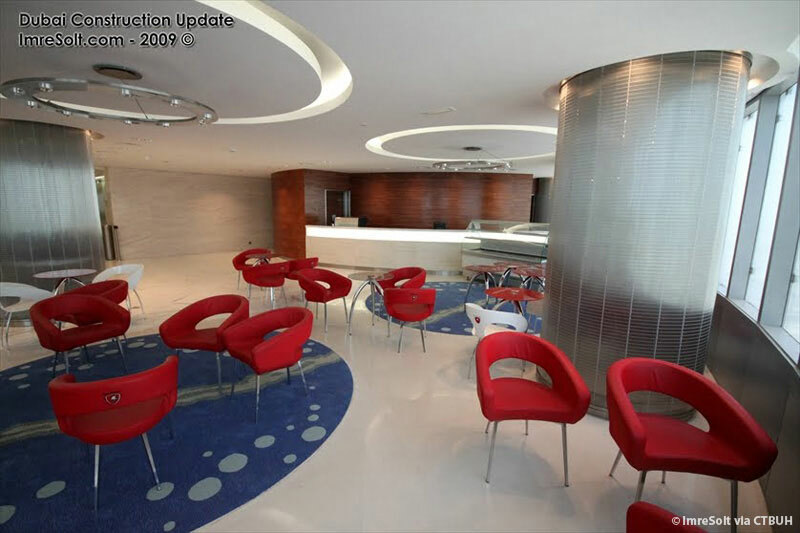 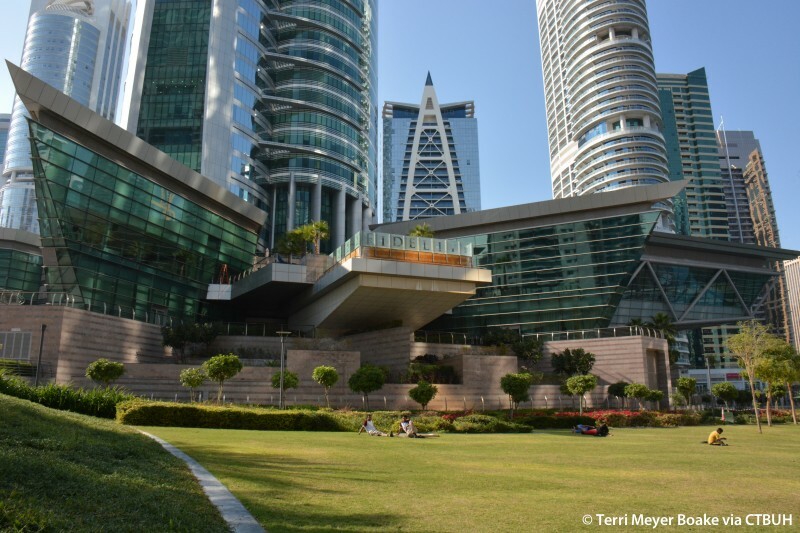 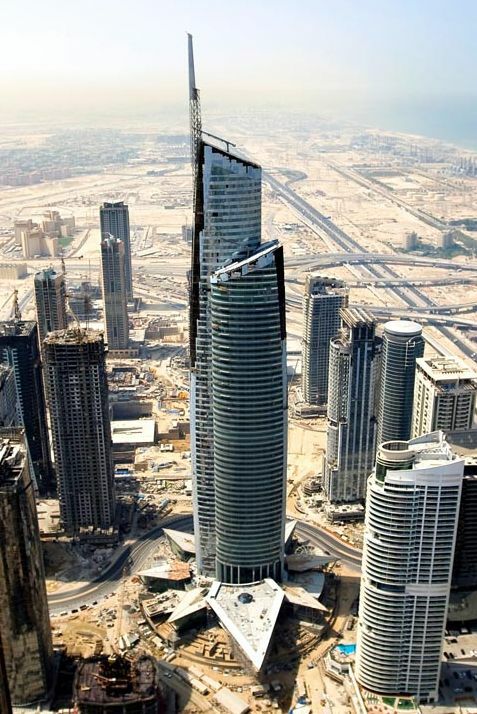 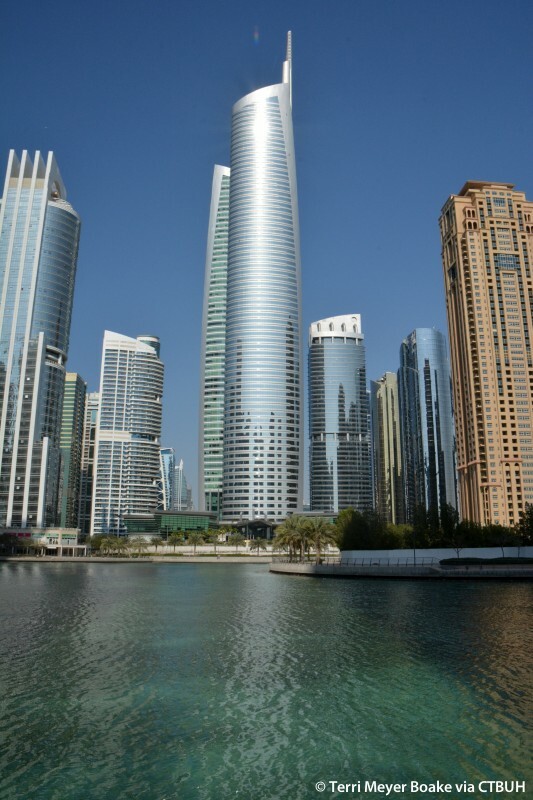 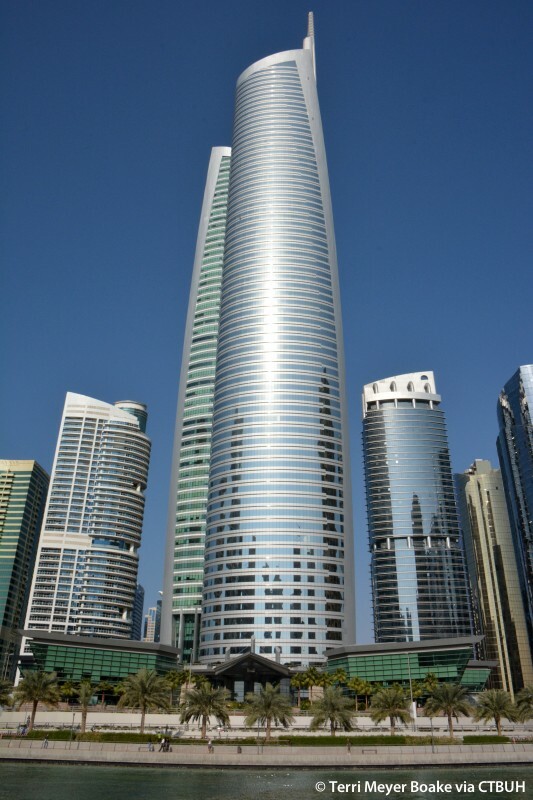 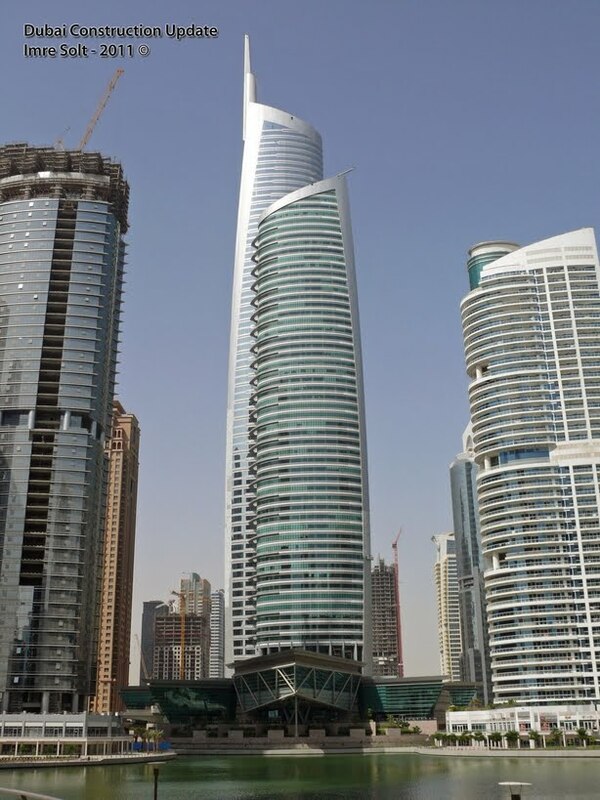 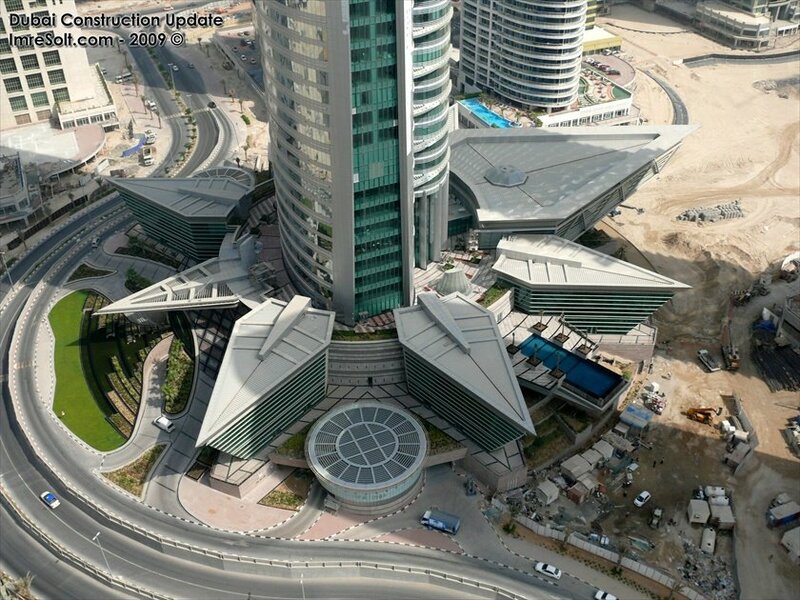 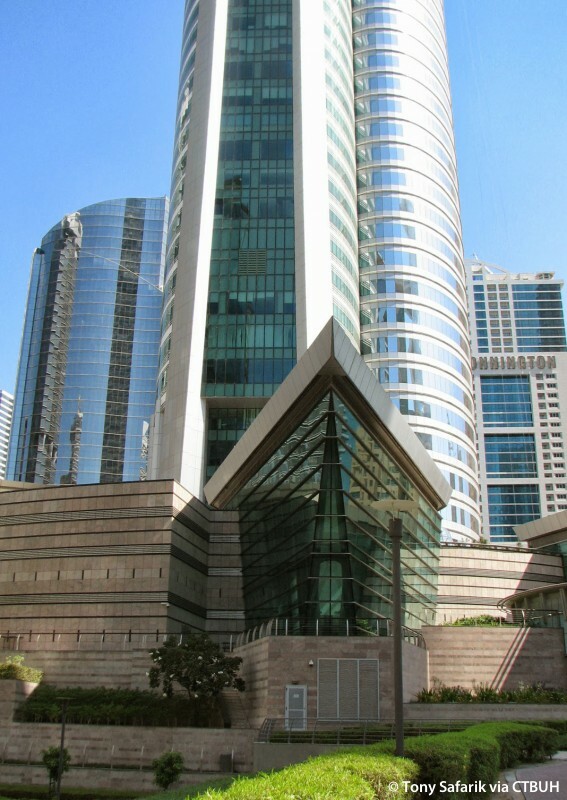 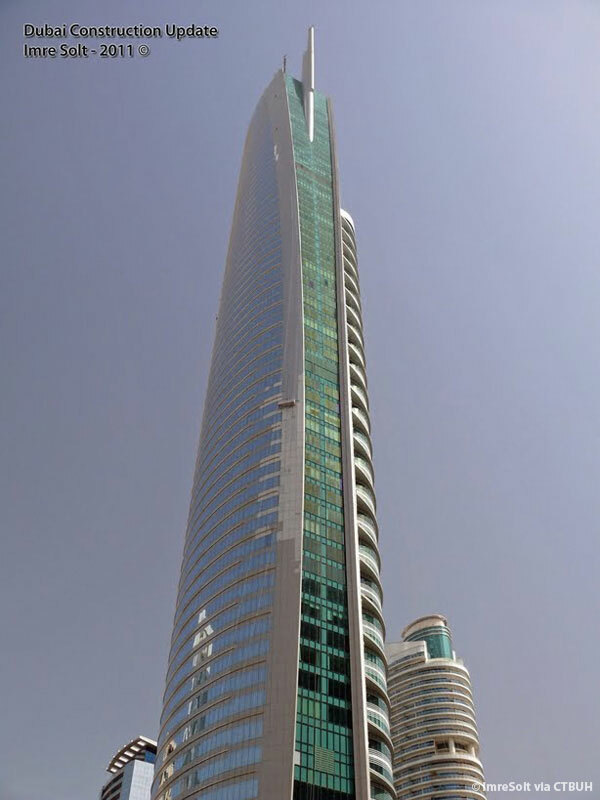 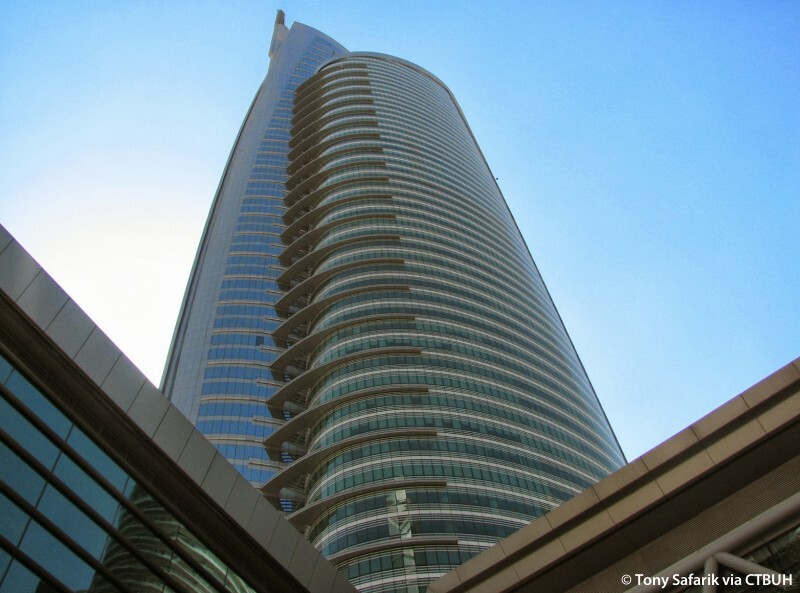 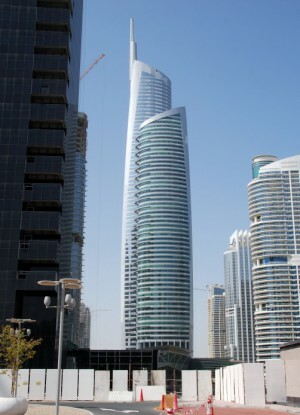 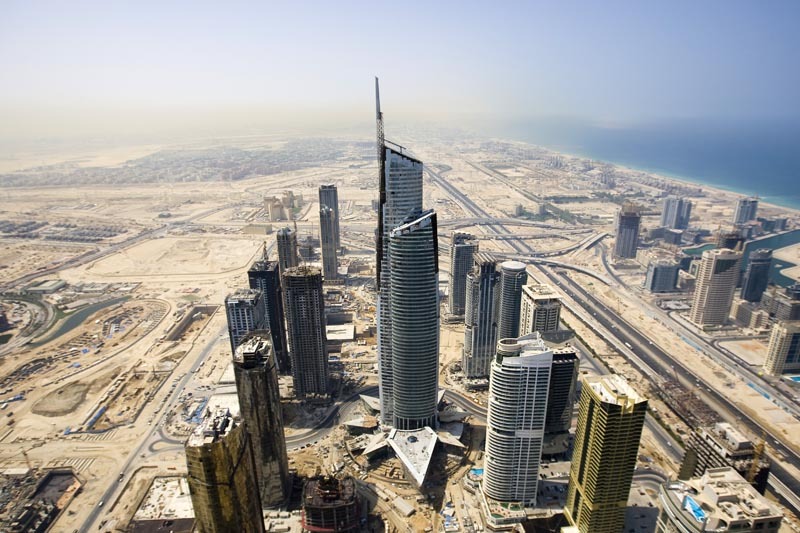 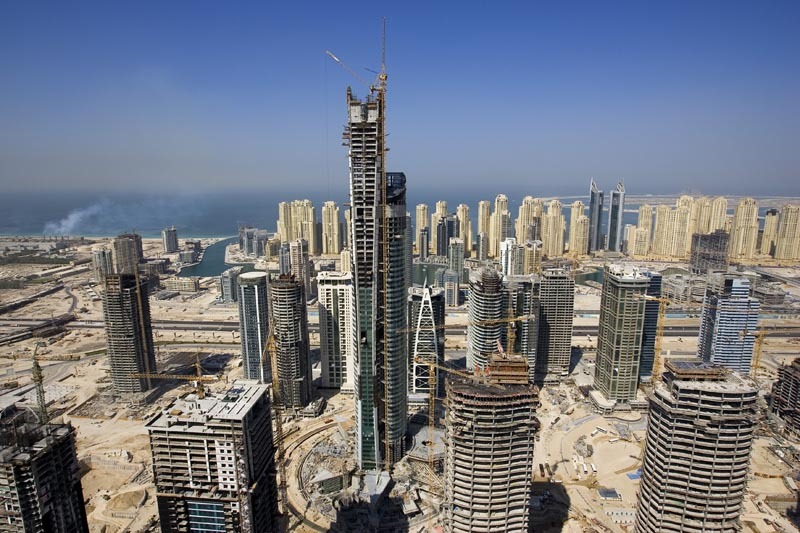 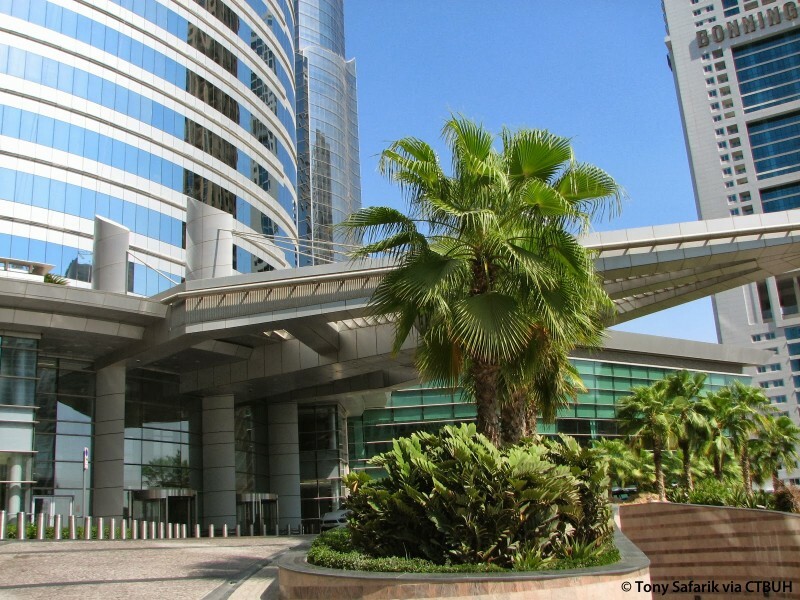 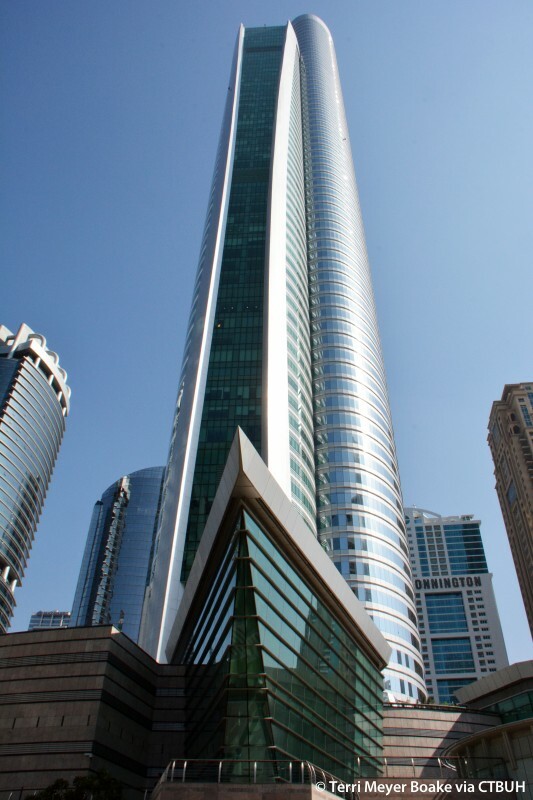 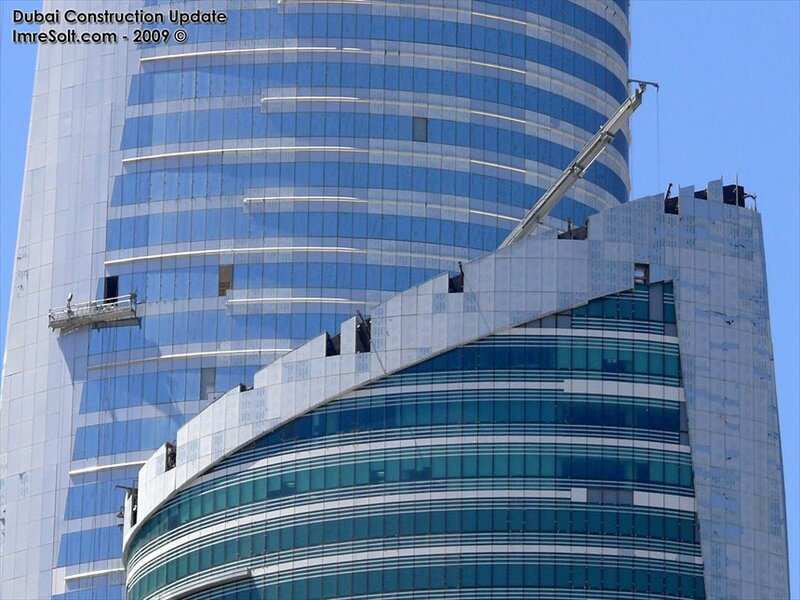 Almas Tower is the centerpiece of the Jumeirah Lake Towers Free Zone, a multi-tower office high-rise development. 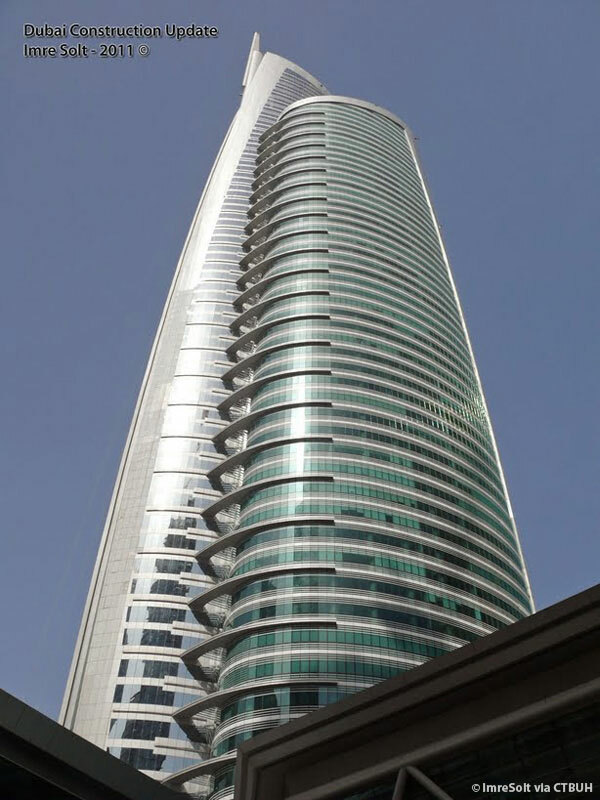 Designed to house the Dubai Diamond Exchange, Almas Tower, or “Diamond Tower” in Arabic, takes inspiration from the unique shape of diamonds. 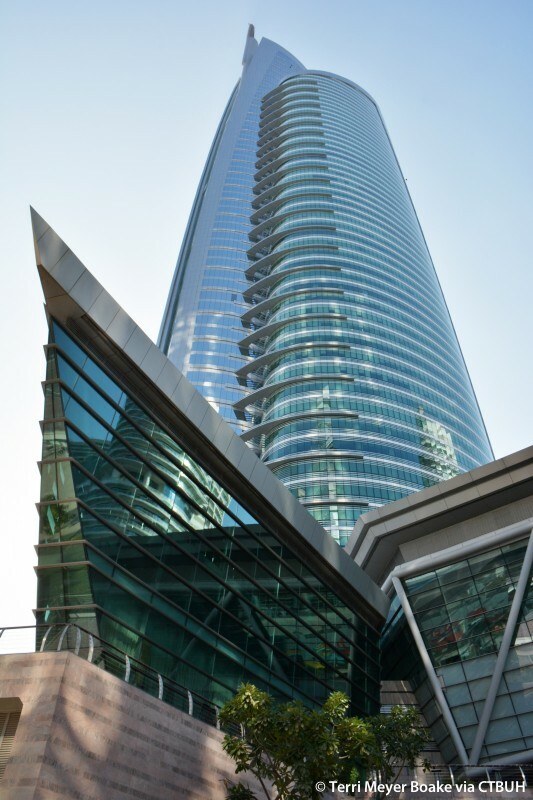 The two-story podium that houses the diamond exchange is one of the building’s most architecturally striking features, with eight triangles inspired by the facets of a cut diamond jutting out from the core. 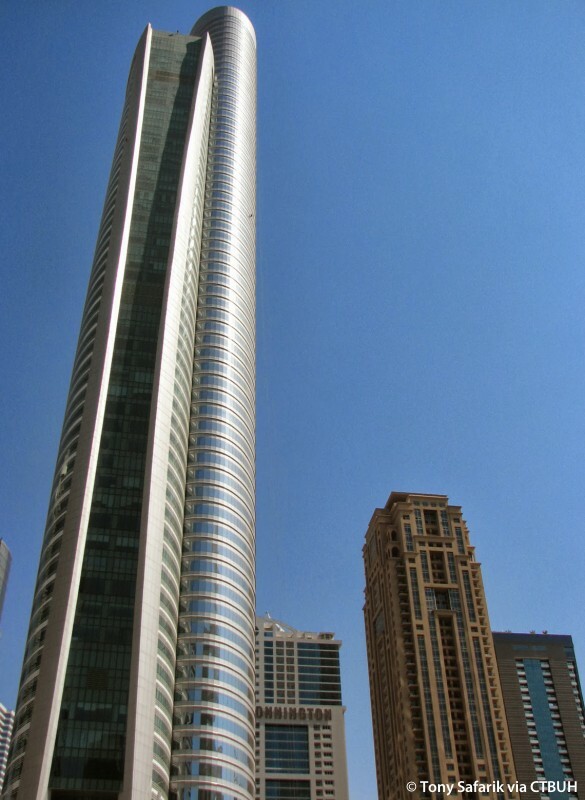 Along with its podium, the tower is significant for its use of two separate but overlapping conformations attached to a single core. 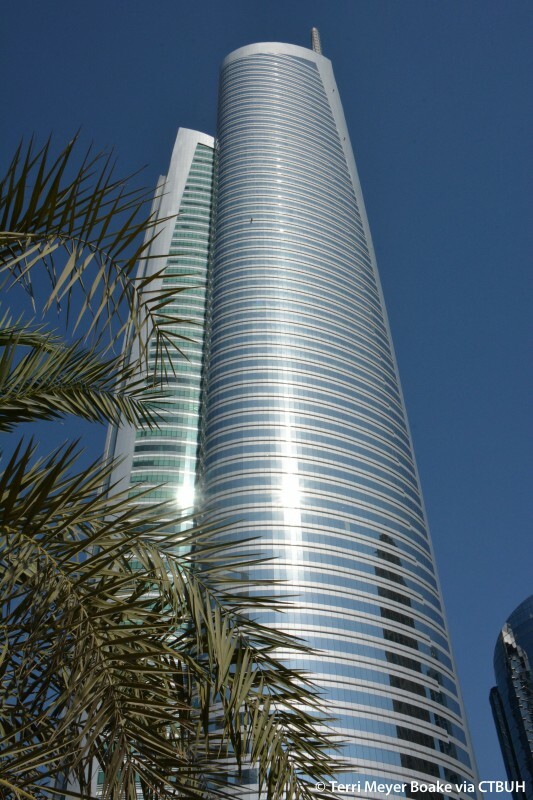 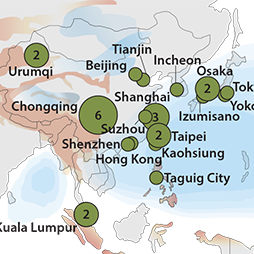 In plan, this unique design appears as two diagonally offset ellipses that converge along their east-west faces. 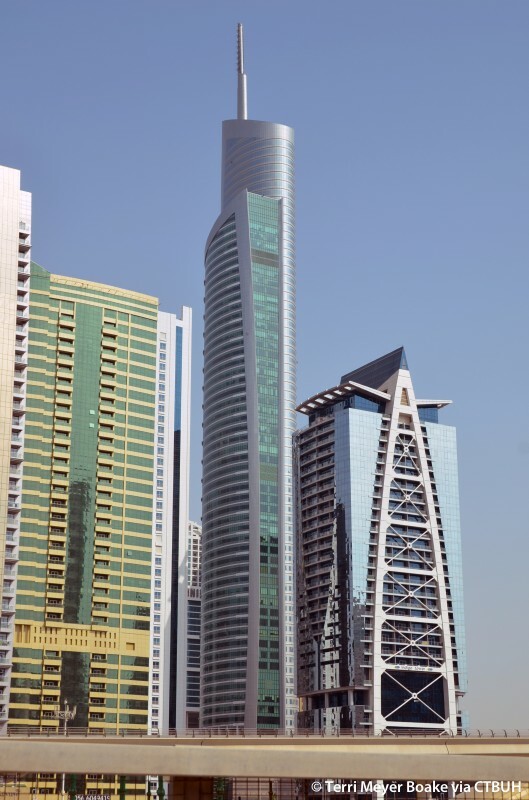 Because the southern component is 12 stories taller than the northern component, the tower has a built-in vertical asymmetry that informs its design. 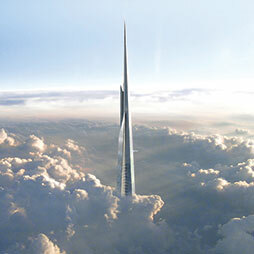 An 81-meter spire attached to the southern mass further distinguishes it from its northern counterpart and marks it as the main structural element of the building. 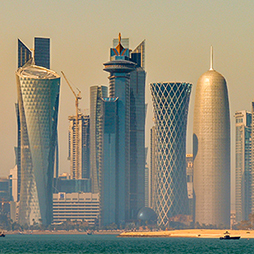 The northern mass appears rounded with a roof slanted to the east, while the southern mass – though still rounded – appears straighter and slimmer with a roof slanted to the west. 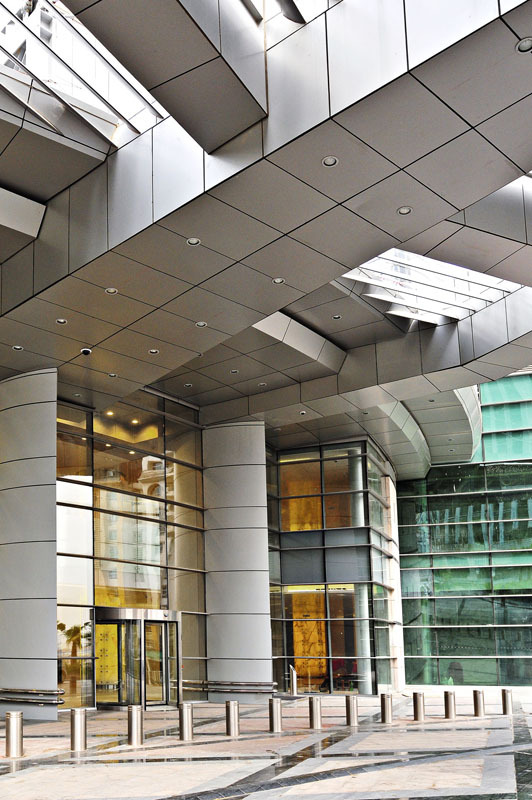 Along with visual differences, both conformations have design aspects that address various environmental needs. 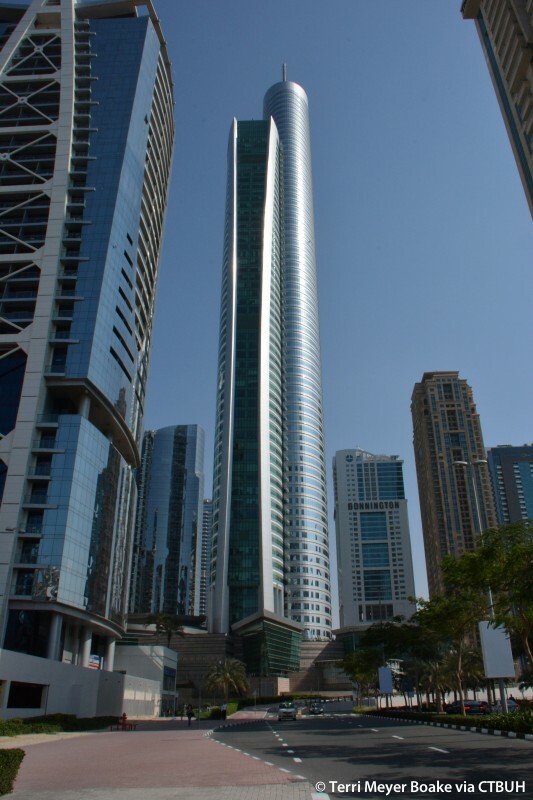 The northern face is designed to maximize cooler northern sunlight via semi-transparent glass, while the southern face protects against heat gain with a high-performance finish. 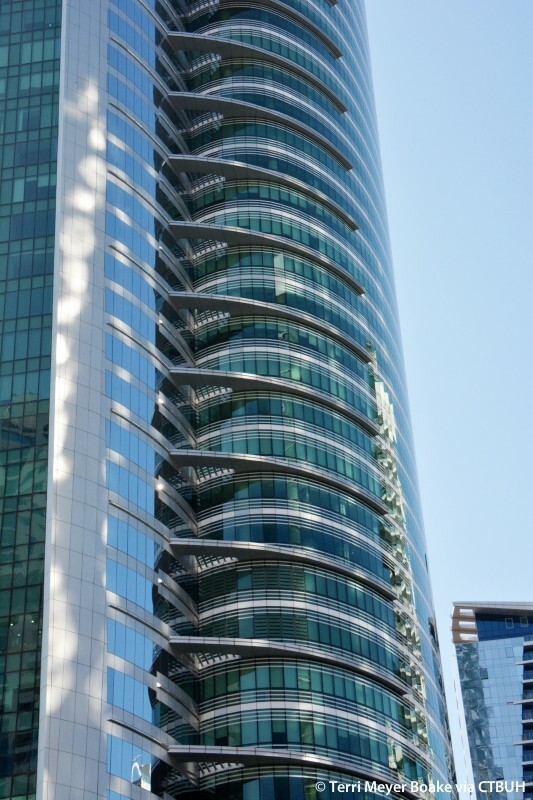 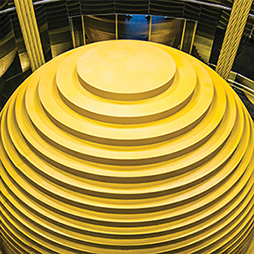 The building’s design incorporates high-degrees of flexibility in order to accommodate the needs of the client, including office floors with no less than 80 percent usable space and column-free offices. 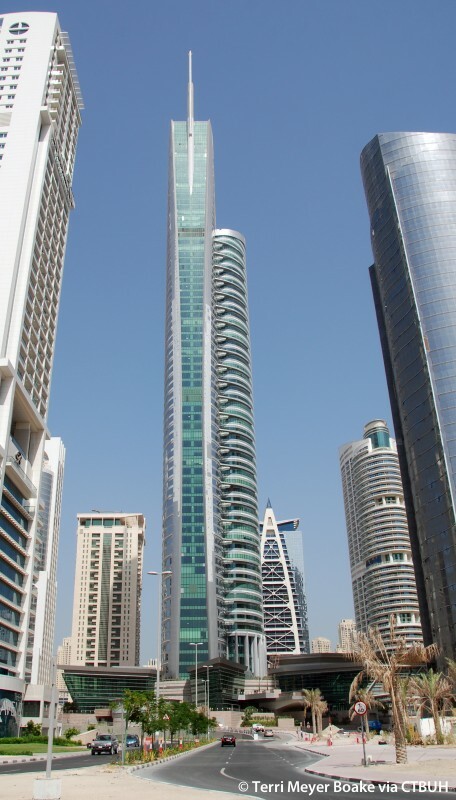 Ultimately, Almas Tower’s efficient design and expressive configuration make it a unique edition to Dubai’s crowded skyline.